Warehouse Floor Marking Ltd offers a range of other services to compliment our internal and external floor marking solutions. We understand that when you’re considering changing or upgrading the markings in your warehouse, it can also be an ideal time to look at related items such as signage, safety barriers & floor cleaning, and by having the capability to offer these other services, we are able to help save your time with the convenience of dealing with one supplier rather than several, and also your budget. As well as being a legal requirement, safety signage is also a great way to improve the look of your facility and show your employees and visitors that you take health & safety seriously, whereas signage to denote specific areas such as ‘Goods In’ or ‘Pallet Storage’ help to give your warehouse a more professional feel, especially when created in your company’s corporate colours along with your logo. Helping design signage that’s specific to your needs is all part of the service at Warehouse Floor Marking Ltd, our team will create designs and proofs to ensure you’re completely happy before production starts, and when it comes to materials we have a huge range available from self-adhesive vinyl and Foamex plastic for internal signs, to the latest aluminium composite materials for external signage. 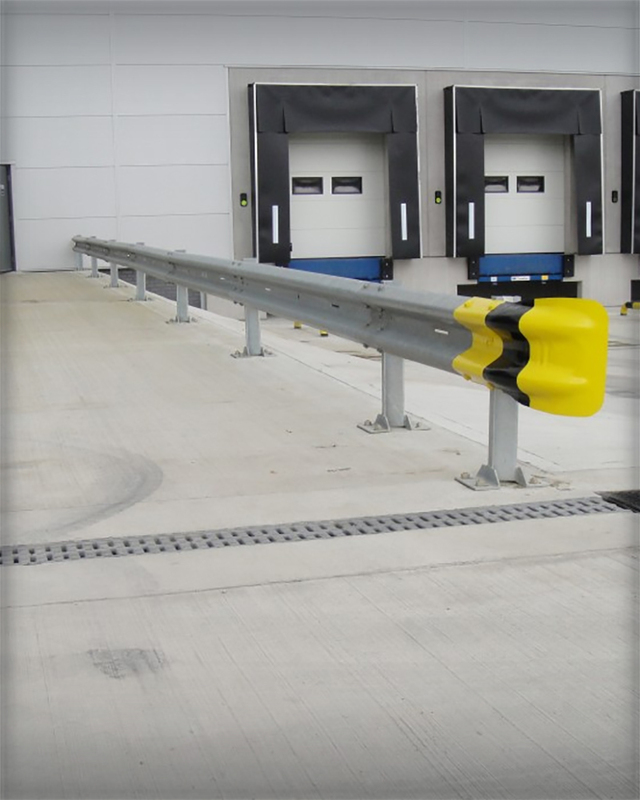 Choosing the correct type of safety barrier is imperative when it comes to protecting personnel in your warehouse. With so many products available it can be hard to know which one is most suitable for your needs, and as with line marking, we don’t believe in a ‘one size fits all’ approach, so one of our advisors will visit your site and carry out a comprehensive survey before advising you on the best options. Keeping the floor in your facility clean is important both in the image that you portray to your visitors and also safety by helping to prevent slips & trips. Warehouse Floor Marking Ltd offer the latest methods and materials available such as gas powered, ride on, scrubber dryers and specially formulated cleaning solutions ideal for bringing the shine back to your warehouse floor. And as with our line marking solutions, you’ve got the peace of mind that all these other services can be installed by our fully qualified and professional installation teams. Our additional warehouse services can help streamline your project, contact us to discuss yours.